Holmarc's Brewster's Angle Apparatus (Model No: HO-ED-P-01) is designed to study the Brewster’s angle phenomenon and the polarization of reflected light. 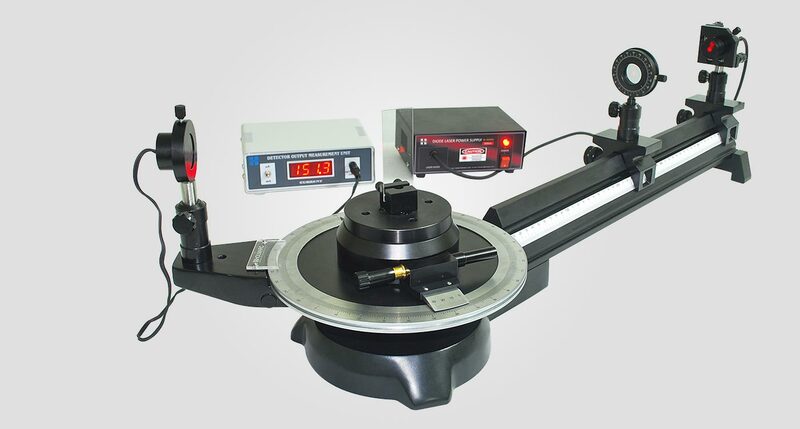 The essential elements of the apparatus consists of a goniometer, a laser light source capable of projecting a light beam that is linearly polarized in its plane of incidence, and a pinhole photo detector with output measurement unit for detecting and measuring the intensity of light reflected. The diode laser and polarizer rotator are mounted on an optical rail. 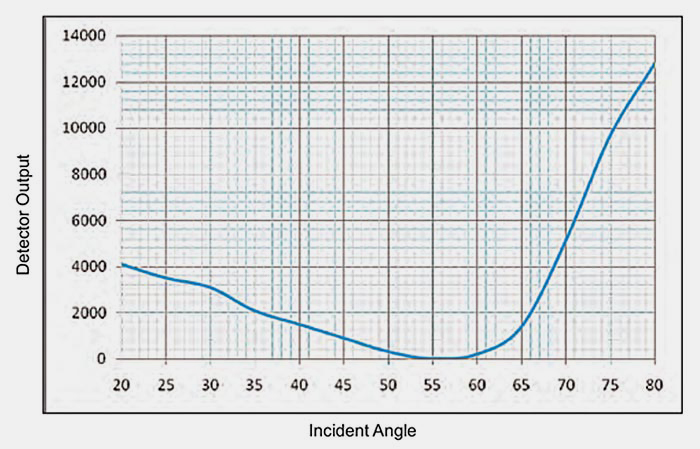 Intensities of reflected light polarized in the plane of incidence and perpendicular to the plane are obtained as a function of angle of incidence. 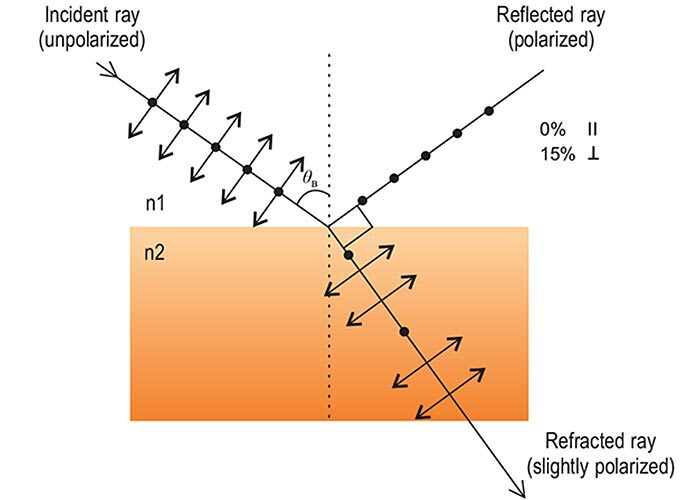 The results should be consistent with Fresnel's laws of reflection. A beam of light incident on a di-electric transparent material can be resolved into parallel (P) and orthogonal (S) components. These components have different reflection coefficients and Brewster discovered that at a particular angle of incidence Ɵв (called Brewster angle), reflection co-efficient of P-component goes zero. At this angle, direction of reflected and transmitted beam are orthogonal to each other. Where n is the refractive index of the material.